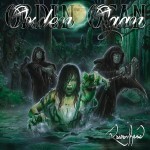 Share the post "Album review: ORDEN OGAN – Ravenhead"
This is the band’s fifth album and hopefully after an impressive back catalogue, along with this enjoyable new release, they will start to get a bigger following. They will appeal to fans of power and progressive metal, with a little folk thrown into the mix, the sort that Blind Guardian for example do so well. They kick off the album with a full on pomp metal instrumental named after the band, very cinematic in feel it starts the album off in style. Then the title track kicks in and this is a full on metal romp, complete with guitar dueling between Sebastian Levermann and Tobias Kersting. The album has two real monster songs in ‘The Lake’ and ‘Evil Lies In Every Man’ (complete with a suitably horror film vocal intro). Both have a big chorus coupled with lots of guitars and interesting musical arrangements. Sebastian Levermann seems to be mixing his vocal styles more too, with a couple of heavy, almost growler vocals and then the more melodic approach on the slower songs or those melodic metal ones like the title track. There are also a couple of guests with Grave Digger’s Chris Boltendahl appearing on ‘Here at the End of the World’, whilst ‘Sorrow Is Your Tale’ features HammerFall’s Joacim Cans on vocals. The latter does sound like an Allan/Lande song as it is very commercial power metal sound, no bad thing in my book! This entry was posted in ALBUM REVIEWS, ALBUM REVIEWS (Mobile), All Posts and tagged AFM Records, album, Blind Guardian, folk, Grave Digger, HammerFall, Orden Ogan, power, prog, Ravenhead, review. Bookmark the permalink.